A group of students enrolled in Rogue Community College’s adult basic skills classes recently caught their first act at the Oregon Shakespeare Festival thanks to a new fund set up to introduce ABE/GED students to the performing arts. The Dorothy Emily de Lyon Arts Fund was established with the RCC Foundation in December 2018 by Kiersta Fricke-Gostnell, chair of the RCC Adult Basic Skills department, who named the fund in honor of her 83-year-old mother. The Adult Basic Skills department offers English language acquisition (ELA) classes as well as GED preparation and other adult basic education (ABE) classes that help adult learners improve their reading, writing and math skills. Many of the department’s students have never attended a play, Fricke-Gostnell said. Many of our students have never attended live theater and see it as something that does not pertain to them. Attending a live, contemporary play with characters that resonate with them was a thrilling experience. The Adult Basic Skills department coordinated theater trips in the past, but grant funding for the excursions dried up several years ago. Fricke-Gostnell didn’t want her mostly lower-income students to miss out on the enrichment experience so she crowdsourced donations through GoFundMe to establish the fund in her mother’s name. In March, a group of 28 students and guests, accompanied by three instructors, were first to benefit. 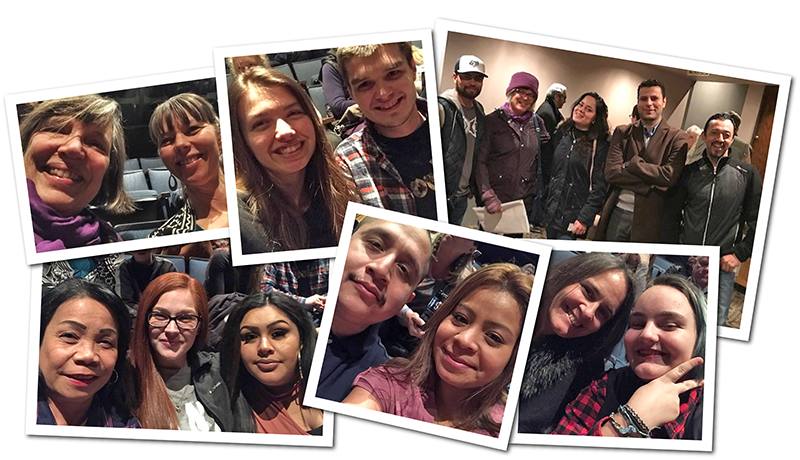 They attended the Oregon Shakespeare Festival‘s production of “Mother Road,” a new drama by Southern Oregon-based playwright Octavio Solis that spins off of John Steinbeck’s “The Grapes of Wrath.” Just six of the students had previously attended an OSF performance. The fund aims to provide $1,000 annually toward the purchase of tickets for ABE/GED students to attend local performances, which could include music as well as theater. A trip for students in Josephine County is planned for later this year. 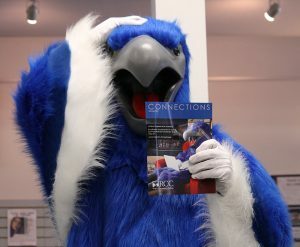 To contribute to the Dorothy Emily de Lyon Arts Fund, or for more information about the RCC Foundation, visit https://foundation.roguecc.edu. The Adult Basic Skills department organized a trip to see “Mother Road” at the Oregon Shakespeare Festival.